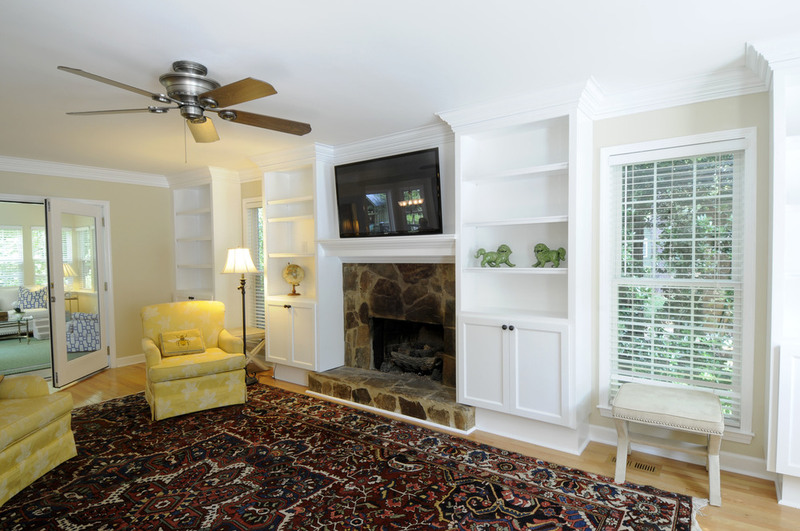 This residential project consisted of demolition of the room's existing mantle and fireplace trim. Four new bookcase units were fabricated to integrate with the existing stone hearth. 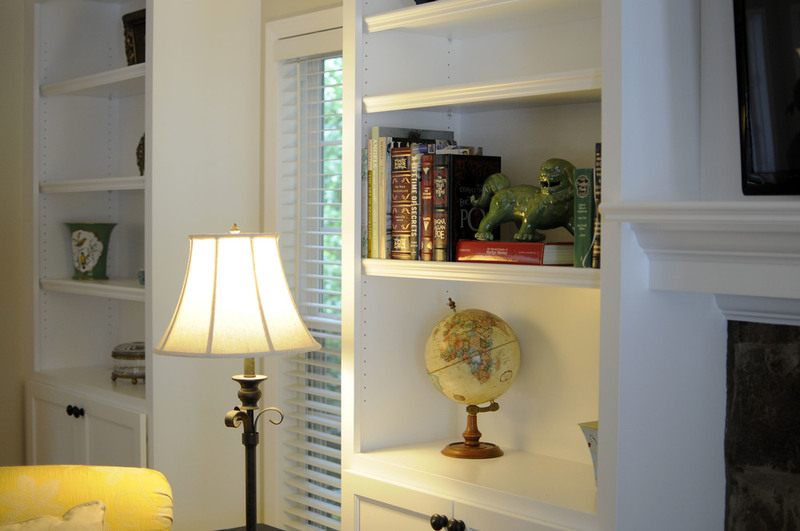 The bookcases are painted maple and feature full-overlay doors, finished with two-part crown molding. Cabling chase to conceal wiring components for TV was fabricated above the hearth.